Do you know how to avoid being a stressed-out middle school mom? We’re nearly at the end of the summer, and you feel it coming. Your middle schooler has gotten quite comfortable sleeping away half the day. They’re either tired of their friends, or want to spend every waking (and sometimes sleeping) moment with them. Their room is full of dirty dishes, socks caked with dried grass, wet towels and swimsuits flung carelessly on the floor. Most days, you’re lucky if you get ten minutes of eye contact with them, and you delight when they string together more than three words in answer to any question you might gingerly toss their way. Teenage summer is upon you, and you cannot wait until September when you can return your tween or teen to the structure of middle school. But wait – does the thought of middle school stress you out more than it does your kid? Are you like many moms who find middle school one of the most stressful times of parenting? According to research done on 2,200 moms by Arizona State University, middle school moms fare the most poorly. If you’re feeling like a stressed out middle school mom, or you know a stressed out middle school mom, I’m here to help. After 25 years of teaching middle school kids (and parenting and teaching two of my own), I’ve got a few tips that might just help you feel a bit better. 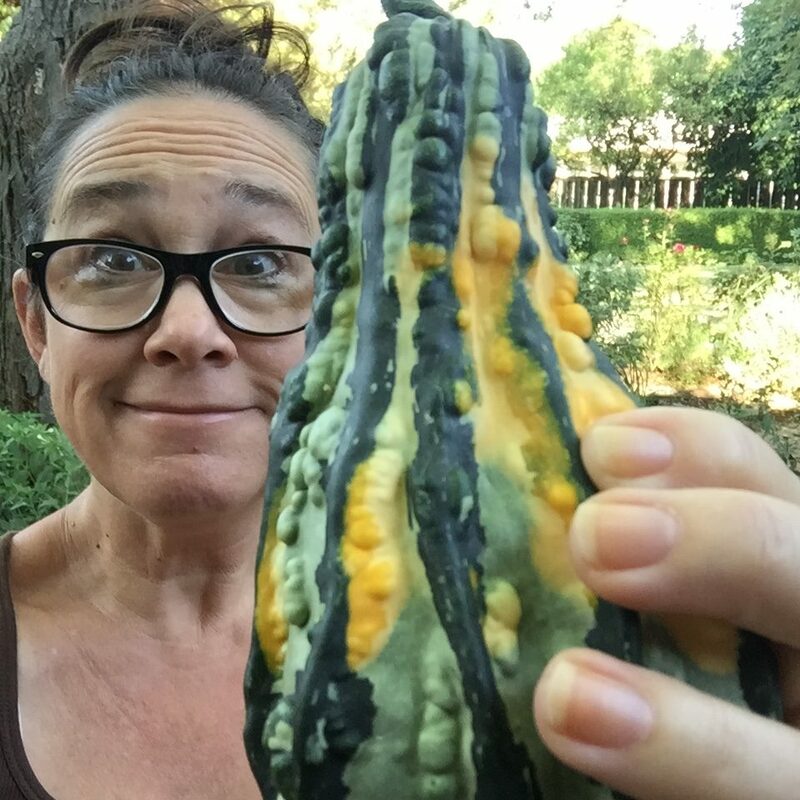 How to avoid being a stressed out middle school mom – grow gourds? Talk With Your Child – I mean really try to TALK to them. I know it’s hard – monosyllabic answers are the norm, and trying to get them to make eye contact is like jumping the Grand Canyon – but if you can crack open the door (literally and figuratively) and avoid ‘yes’ and ‘no’ questions, you’ll likely create some space for a crevice into their world. This takes a bit of work on your part – try to keep informed about general topics of areas of interest (sports, music, books, class subjects). See what’s trending on Twitter for ideas. Starting off with “What do you think about” is a great way to nudge the conversation their way – remember, middle school kids are EGOcentric. Center a question around them or their interests and you’re likely to break through the zombie glaze. Keep Calm and Parent On – Breathe, watch, listen, and let them fail. No, really. Trust the parenting journey. You can’t fix everything. It’s their life – you’re just the cheerleader/coach/cook/laundry person – don’t be the sage on their stage. Let them move through their own world – if they know you’re there to help create a soft landing when things get really rough, that will help. But if you catch them every time they fall, what are they really learning? Middle school is a time to let kids learn independence – and helping kids learn through mistakes is a place where you can really be a parent. Get Active – Volunteer, pay attention, find your own hobby. It’s good for kids to see their parents passionate about life. Is there something you’ve always wanted to do but couldn’ figure out how to push a stroller at the same time? Or did the idea of being creative-while-sleep-deprived keep you from pursuing your passion? Bonus points if your activity has an opening for your kid to participate – but remember, it’s not always about them. Role modeling your own self-love behaviors is positive parenting. Middle school kids are watching adults – they want to see how different people go about life, and this is a great time to set a good example. Pay attention to what your middle school child is doing, who they are hanging out with, what they’re watching/reading/writing. Open your ears more than your mouth and listen. Set Patterns – Help your kid learn to do the ‘process’ of school. Just like an effective classroom has expected systems and behaviors for learning, create patterns in your own home. Ask your child what they think will work for them, and create a system together. Do they need down time after the busyness of school? Are they hungry? Do they need time to ‘dump’ their day on you before thinking about homework? Just like when they were little, think about the basics: food, sleep, attention. Think about how to balance their social and creative or athletic interests with academics – middle school kids are all about their friends, and having a pattern established that balances time with others and time to focus on work can be key to their success – and avoid the stressful battles between middle school mom and kid.